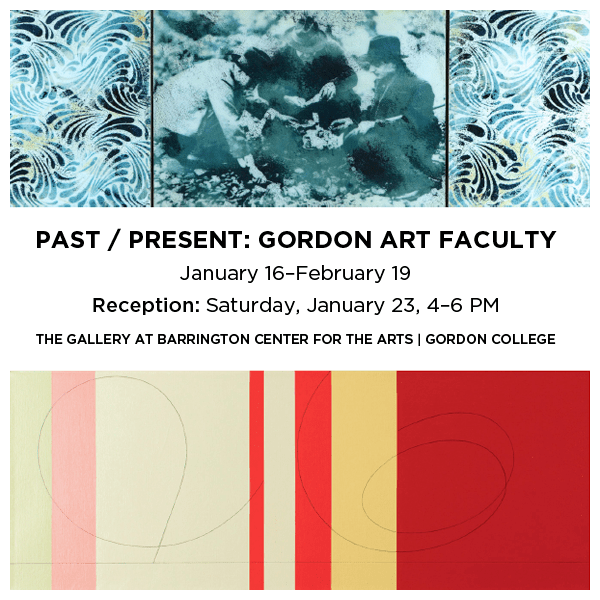 The Gallery at Barrington Center for the Arts presents PAST / PRESENT: Gordon Art Faculty, a new exhibition featuring work by current and former Art Department faculty. An opening reception will take place this Saturday, January 23, from 4 to 6 p.m. The show will run until February 19.